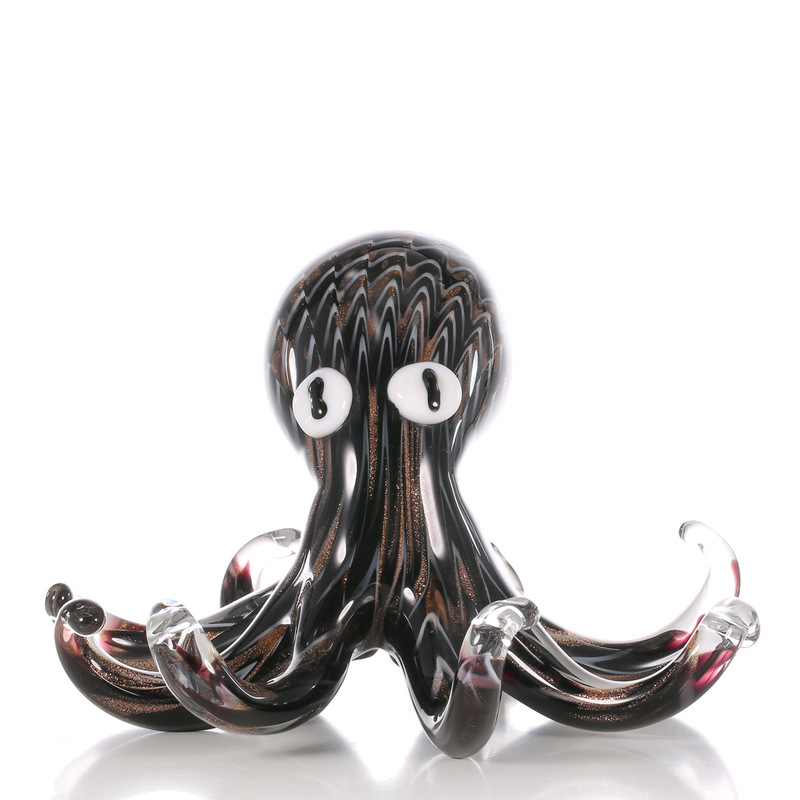 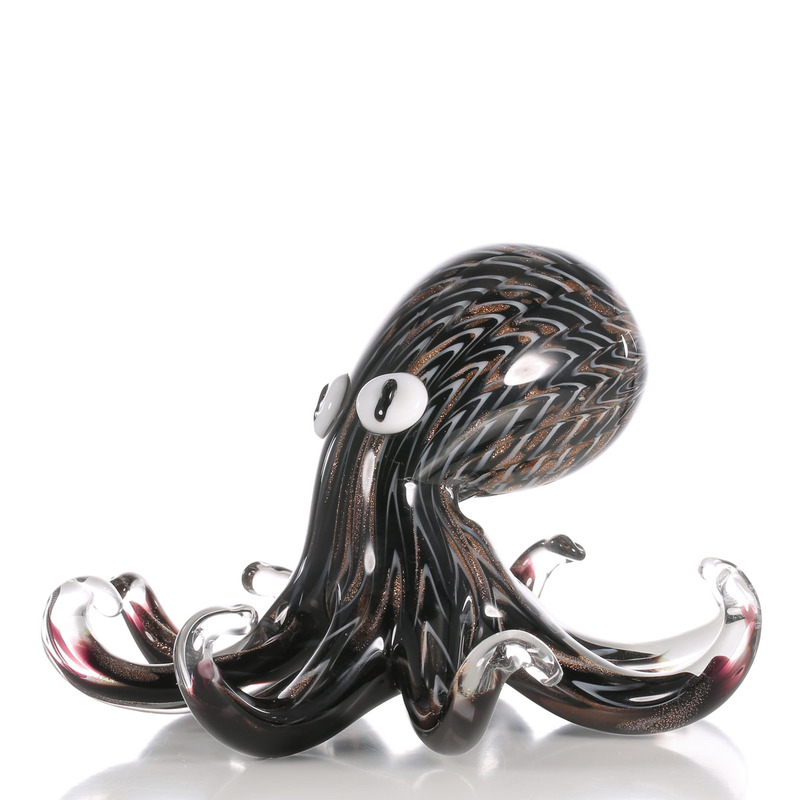 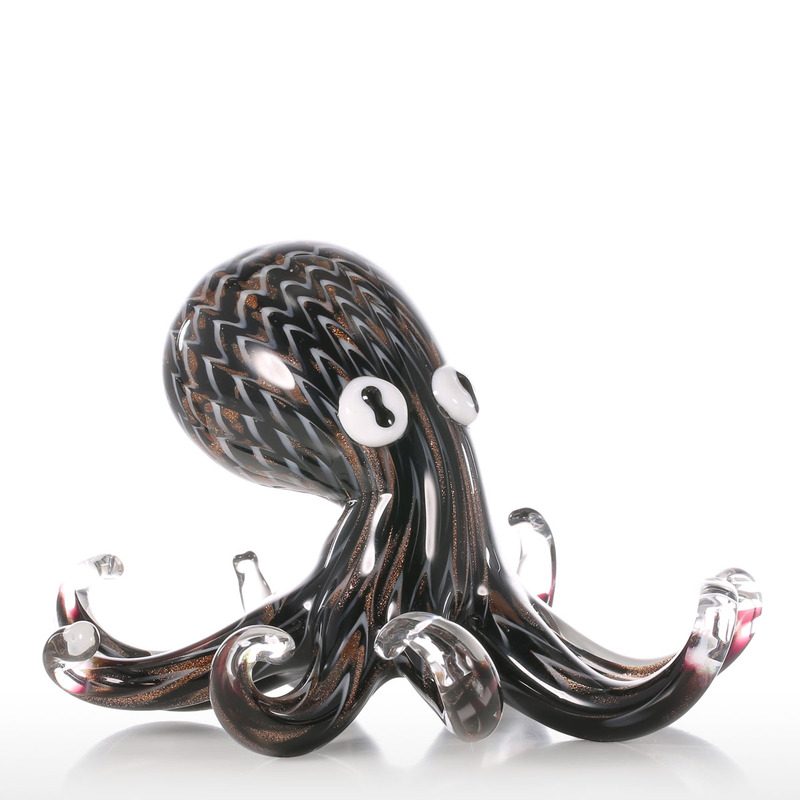 This is a black glass octopus with curly tentacles and round head. 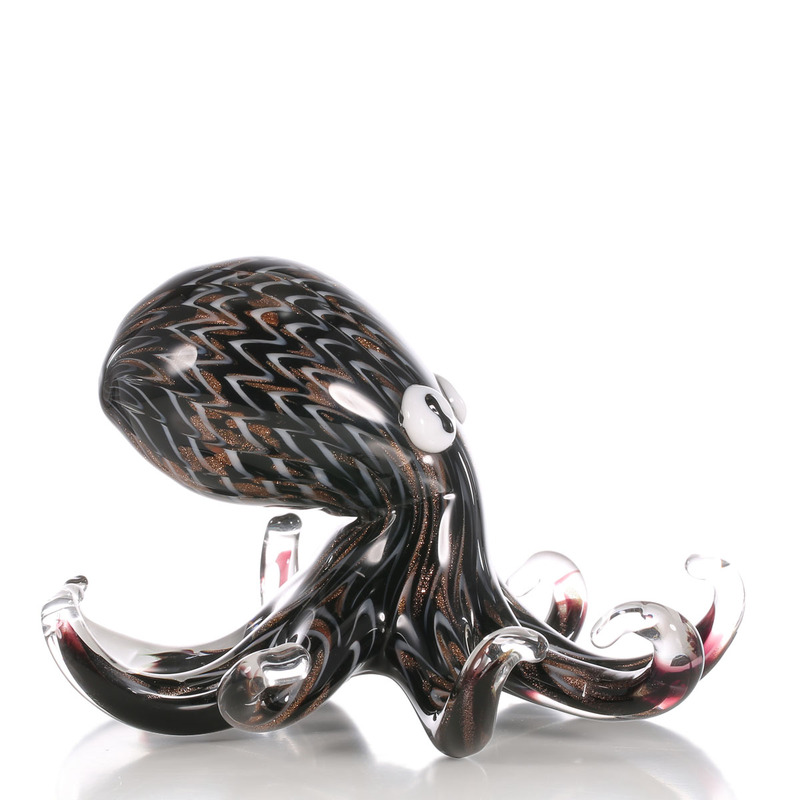 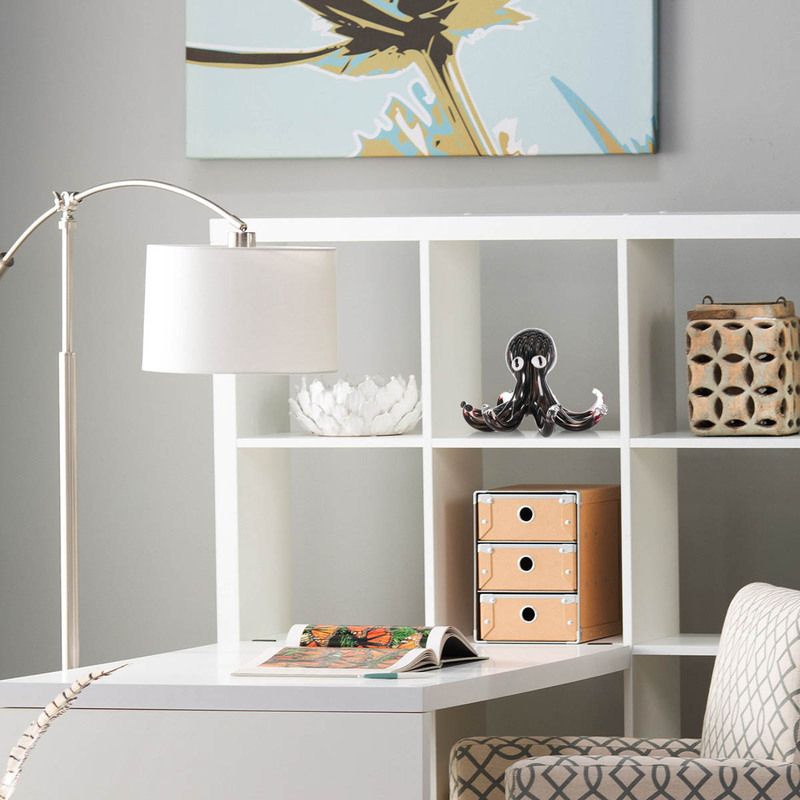 The complex patterns inside and the golden powders look gorgeous. 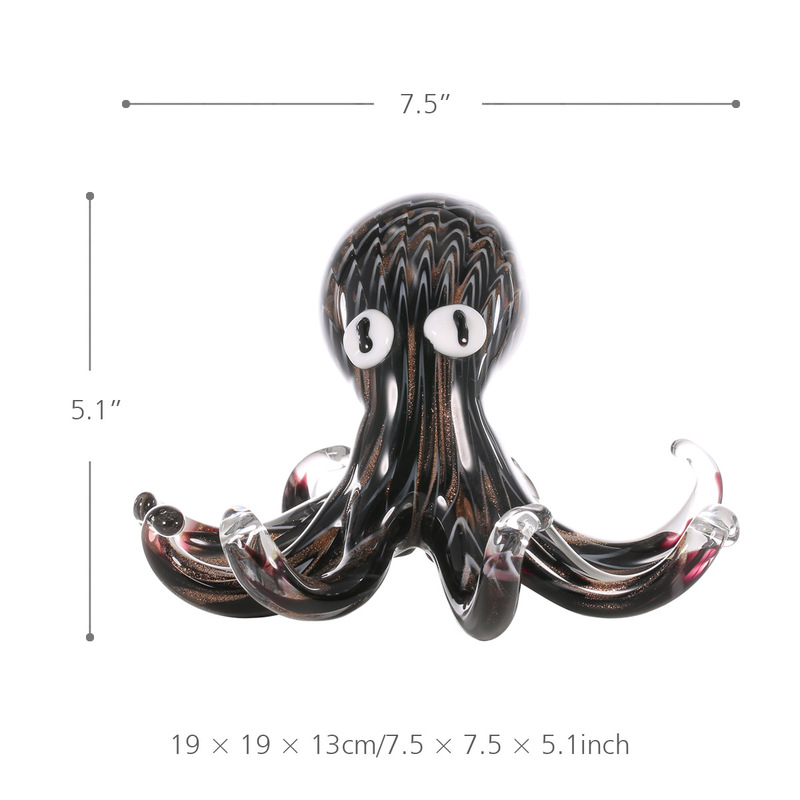 Curved tentacles, round head, the octopus modeling is very cute. 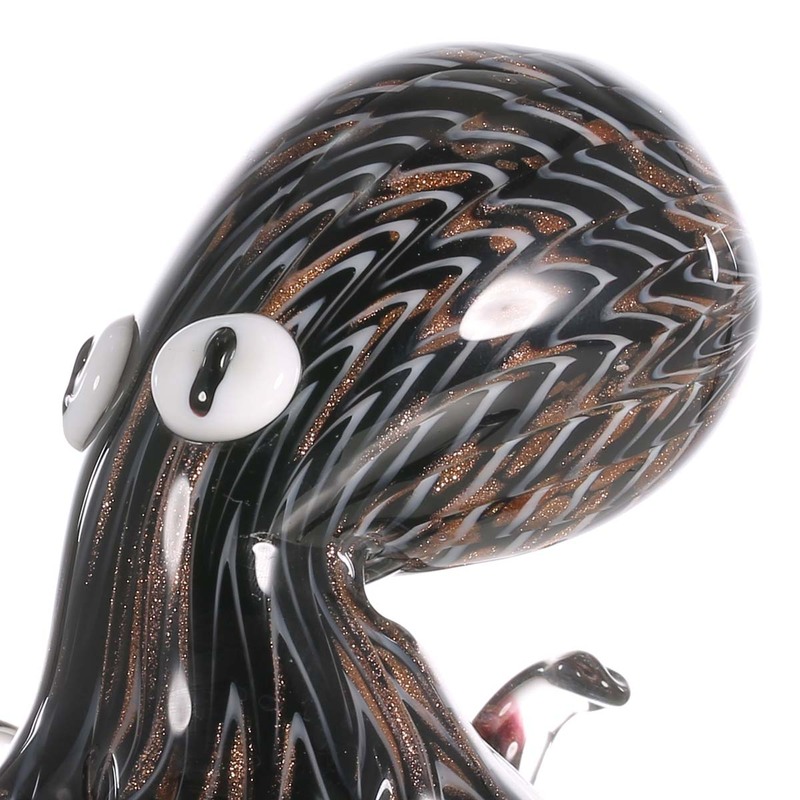 The complex patterns inside and the golden powders look gorgeous.